A major exhibition showcasing the work and impact of this hugely influential band during the late 70's and early 80's. 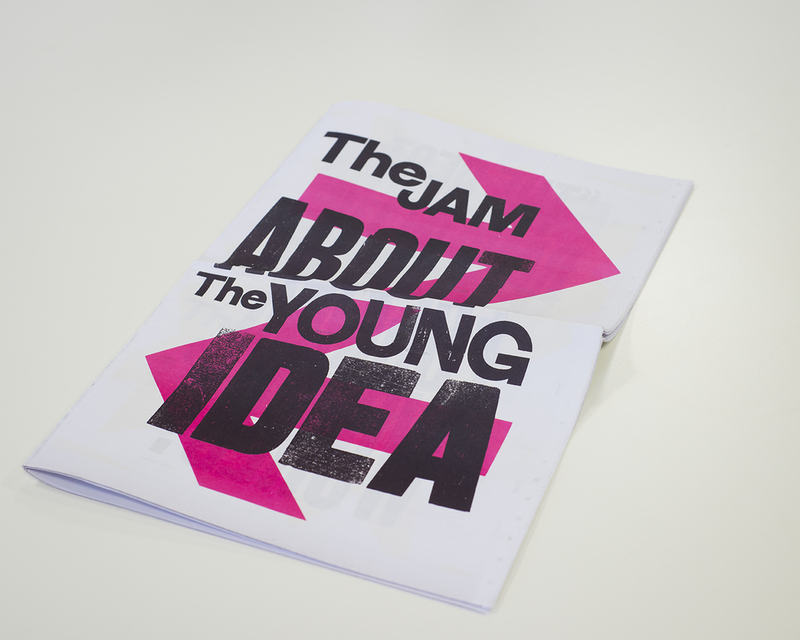 A massive collection of memorabilia, archive footage and instruments documented the significance and prolific rise of The Jam from their beginnings as teenagers in Woking, to the height of their fame internationally, and eventually their shock split in 1982. We worked closely with the team of Curators which included family members of the band and dedicated fans to develop a narrative and strategy for the display of a huge variety of fragile and valuable exhibits. Our approach employed paper and card as the principal materials for the installation in contrast to the ornate gallery walls and in keeping with the strong presence of graphics by Anthony Burrill. We design leaning panels of varying sizes and depths that were covered with different coloured pasted paper to provide a backdrop to the exhibits, and placed them around the gallery spaces over alcoves, doors and windows of the classical interior of the galleries.